Congratulations to Raven Radio raffle winner Gayleen Jacobs! 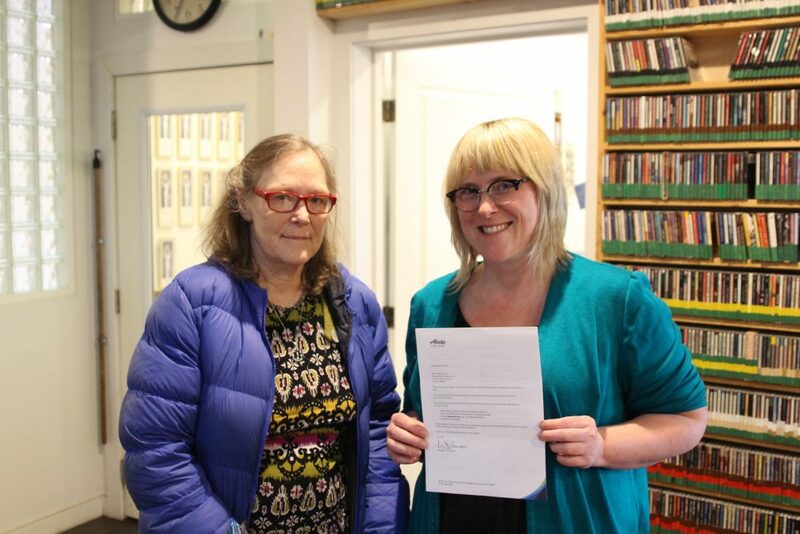 Gayleen Jacobs of Sitka won Raven Radio’s 2018 raffle, earning two round-trip tickets anywhere Alaska Airlines flies with no blackout dates. General Manager Becky Meiers pulled the raffle stub from a bin of hundreds and presented Jacobs with her tickets at the Cable House. Congratulations Gayleen!